When deciding what you want to do with your life, it's important to stay true to yourself and not place too much weight on the opinions of others. 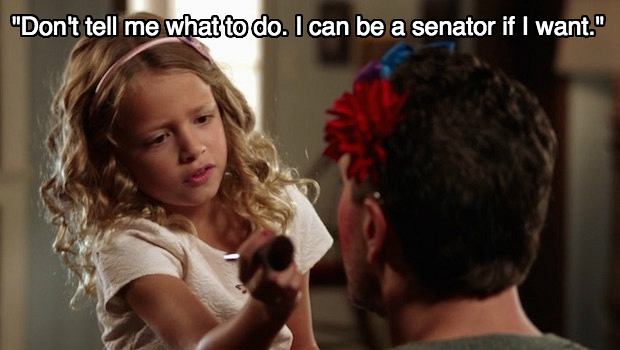 That's how her uncle Matt learned his niece was aspiring to be a model, movie star, or senator. Sky's the limit!